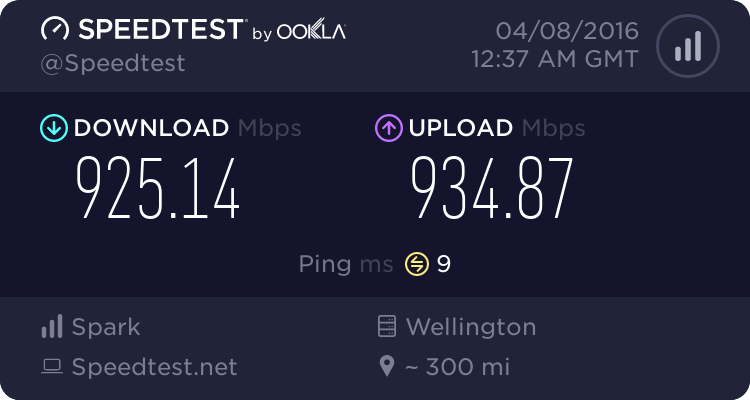 Ive been a long time reader and not much of a contributor due to most of the question I have ever had been awnsered by a simple google search, However I am struggling to get any more then 500mbs up and down on Ethernet out of my current set up. with the HG659b I got around 950 down and 750 up over Ethernet. Is there anyone that can help with advanced settings? I want to get the best out of this router and the only other settings I have changed is opened up the 20 ports to the server I have on this network. Is there any suggestions on advanced settings I can alter etc? I appreciate you taking the time to read this and look forward to your responses. Try turning the QOS engine off. It is always possible that it's simply not powerful enough to route Gigabit at line speed like lots of routers out there. This router is rubbish as it does its routing in Software so is limited by the CPU. If you just bought it, return it. It honestly will offer very little, or no improvement from the WiFi that the HG659 provides. The HG659 will offer gigabit speeds over wired connections. First prove your computer is up to the task of gigabit when wired into the HG659. Then you can eliminate the HG659 if the wireless is poor (which it is) but you should at least get 100mbit over wireless depending on how far away you are from the router and what walls separate you. Plenty of enterprise grade AC routers on Trademe second hand. Otherwise the Unify / Ubiquiti gear is always pretty good. currently only getting 500sh up and down have lodged a complaint with spark and will hopefully be able to sort it. currently not a router problem when getting same speeds which is half of usual with 5 different HG659b modems. Doesn't prove it's a Spark problem. Any suggestions exact same setup was getting 950 down 600 up for months then in the last 3 weeks has gone to max 600 up and down but sometines as low as 100 up and down. d link 890l as it provides the best wireless for the kids who stream a lot and the mrs.
have sorted after a heap of reading thanks everyone for your help.